The year was 2006. The place was exclusive home on an acre of land in the Beverly Hills flats. The project was to design and create elegant lighting fixtures inspired by the creative vision of architect Wallace Neff. This scenario was the perfect opportunity for ADG lighting to collaborate with a discerning client/homeowner who had a distinct vision to carry on the long-standing design tradition of the original home. The cover photo reflects the Wallace Neff style of the home and prominently features one of our signature fixtures. Our project home was originally designed by Wallace Neff, a Los Angeles based architect, who was largely responsible for creating the regional architectural style referred to as ‘California’ style. ADG Lighting was commissioned to design and manufacture specific lighting fixtures that reflected clearly the design inspiration of Wallace Neff. The home has signature Wallace Neff style design elements such as heavy wooden pocket doors, a massive stone fireplace and stenciled ceiling beams. Most notably, the home features a spectacular ceiling mural in the dome of the rotunda. The mural was created by renowned artist Richard Wyatt, whose work is prominently featured in Union Station, Los Angeles. There is significant value in retaining 20+ years for creative sketch books and for this project, our sketches reflect how the project came to life. Give us a ring at (818) 597-9494 or email us for more information on our custom services. This entry was posted in Beverly Hills, Featured Projects, General News, Lighting and tagged adglighting.com, architecture, custom lighting, custom lighting design, wallace neff on September 28, 2016 by @dl1ght. 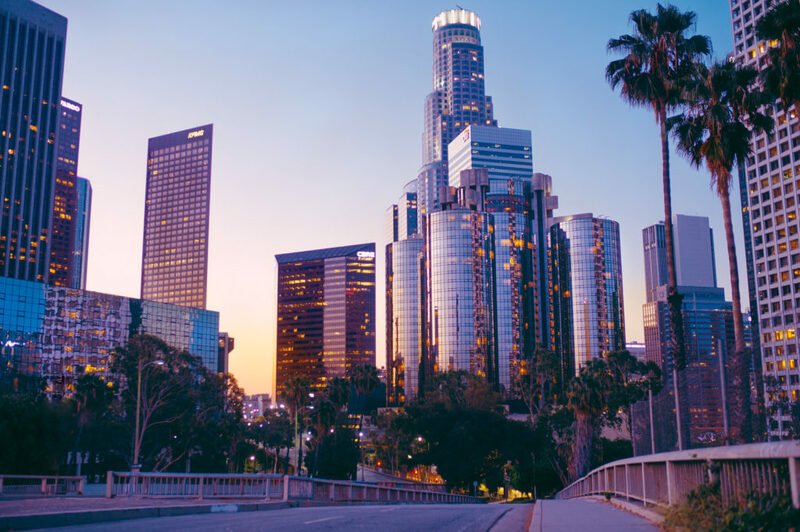 Los Angeles is the perfect venue to launch cutting edge and innovative projects in architecture, music, media and entertainment. We are a backdrop for historical and visionary architecture. Some of the most profound architects like Frank Lloyd Wright, Charles and Ray Eames, and Frank Ghery have their work featured in our city. There could have been no better place for the creativity involved in the ‘Liquid Shard’ project. The project was a collaborative endeavor involving students of the Los Angeles Visiting School of the Architectural Association of London (AAVSLA) and Poetic Kinetics, a Los Angeles based creative company specializing in large-scale art installation and experimental design. The ‘Liquid Shard’ was constructed of several holography mylar strips arranged in a long ribbon-like canopy that is 15,000 square foot in length and moved depending on the wind and weather conditions. Architectural Digest commented upon the work, calling it a “mesmerizing kinetic sculpture comprising hundreds of silver streamers that would leave passersby feeling as if they’re strolling beneath the sea’s rolling waves.” Los Angeles Magazine also remarked on the installation, which they felt brought a little delight to an urban eyesore.” The challenge to those involved was they had a specific window for completion, so as not to disturb the daily flow of the site. A period of 2 days and a night created focused chaos for the project. Once completed, the ‘Liquid Shard’ created a new destination in downtown, which was described as an oasis of calm. The kinetic movement of the ‘Liquid Shard’ gave the viewer a different look every time they looked. It created a significant buzz on social media because it was a different experience to everyone who viewed it. This week, we would like to present two of our favorite fixtures in our vast collection. Go to www.adglighting.com and place an order today for these featured fixtures. This entry was posted in Beverly Hills, Calabasas, Featured Projects, General News, Lighting, Los Angeles, Newport Beach, Palm Springs, Ventura and tagged adglighting.com, architecture, custom lighting, los angeles on September 21, 2016 by @dl1ght. Have you seen our feature this week in Dering Hall? Their inspirational piece in Shop the Style section on Dering Hall features our Spanish Chandelier. This entry was posted in Dering Hall, Featured Projects, Lighting, Los Angeles and tagged adglighting.com, architect, custom lighting, custom lighting design, designer, Lighting, spanish chandelier on September 16, 2016 by @dl1ght. A long anticipated tower will begin its rise into the skyline of Los Angeles. The project will add a creative and unique imprint on downtown. The project will rise 34 stories and will contain 450 residential units, along with 7,000 square feet of retail space on the ground level. The project is part of a larger initiative of the city’s called ‘Bring Back Broadway.’ Under the leadership of Los Angeles City Councilmember José Huizar, the revitalization project is an ambitious 10-year plan to infuse prosperity into the historic Broadway corridor in downtown Los Angeles, listed in the National Register of Historic Places. Council member Huizar has established goals to provide economic development and business assistance; re-activate Broadway’s historic vacant theaters, as well as more than one million square feet of vacant commercial space and increase parking and transit options, including bringing the beloved streetcar back to downtown Los Angeles. This entry was posted in Business - Architecture Services, General News, Los Angeles and tagged adg lighting, architecture, custom lighting design, dtla, los angeles, los angeles architecture on September 14, 2016 by @dl1ght. There could be no better definition of architecture that is expressed by someone who embodies that definition.“That Embodiment by the trades, the architectural professionals and those that participate in the process elevates all that collaborate together, making a better Architecture – with a capital ‘A’ ” , says Gerald Olesker of ADG Lighting, a go to source in the design industry. The practice of architecture is not only the science of building structures, but constructing the visual state of civilization. The hopes, dreams, desires and visions of man are represented by the work of architects. We can understand the evolution of man and the state of civilization through the vision of the structures that leap from the minds of our architects. This year, the Southern California Institute of Architecture (SCI-Arc) will offer four specialized postgraduate programs aimed to enable architects to better prepare for a wide range of twenty-first century careers. The institute will offer one-year degree programs in a Master of Science in Architectural Technologies, Master of Arts in Entertainment and Fiction, Master of Science in Design of Cities, and Master of Science in Design Theory and Pedagogy. At ADG Lighting, we are driven by the spirit of creative exploration. Our work embodies and reflects a deep understanding of inspirational design. Spend some time exploring the possibilities at www.adglighting.com. This entry was posted in Business - Architecture Services, General News, Los Angeles and tagged a history of architecture, architecture, classical architecture, creative, custom lighting design, design, los angeles, los angeles architecture on September 7, 2016 by @dl1ght. Have you seen our feature this week in Dering Hall? Their inspirational piece on 11 Different Entryway Looks includes our Saturn’s Ring of Life Pendant. This entry was posted in Dering Hall, Featured Projects, General News, Lighting, Press and tagged adglighting.com, custom lighting, during hall, feature, saturn's ring of life pendant on September 2, 2016 by @dl1ght.